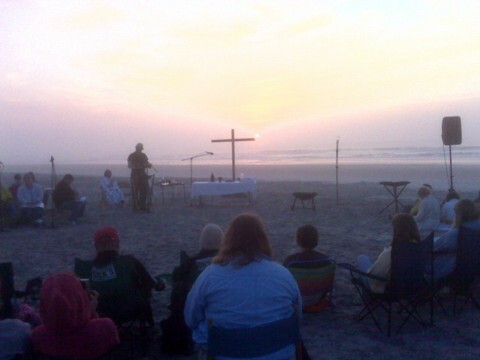 This is today’s annual Easter sunrise service (using the Easter Vigil) of the Episcopal Church of the Servant at Wrightsville Beach, NC. It began at 6 am with the lighting of fire. There were probably about 75 people in attendance.